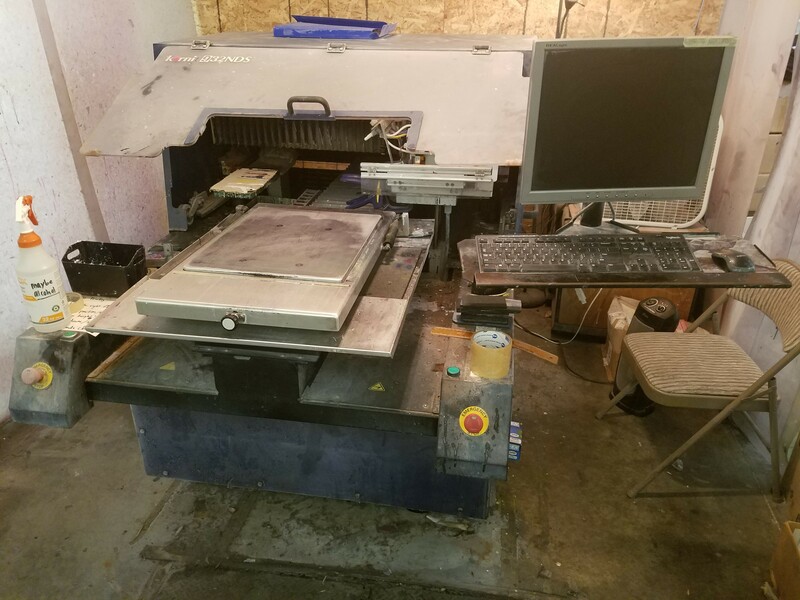 This Kornit Thunder 932NDS DTG Machine has many new parts including both the X and Y axis and many other parts over the past 2 years. Machine is in running order and is capable of about 120 shirts in an 8 hour shift. This is a production machine for us and is running very well, we are simply upgrading to new equipment. Please ask any questions and I will respond ASAP. All reasonable offers considered. Located in Orem, Utah. Machine is currently under a maintenance agreement with Kornit. Email: or call 801-703-0965. Buyer pays crating and shipping unless otherwise agreed. Sale price includes all inks, fluids, etc. at time of sale. Thank you in advance for your interest!